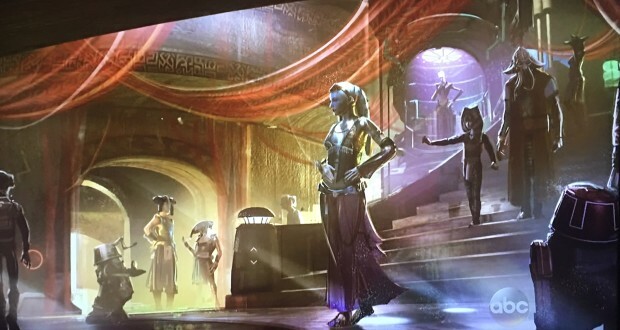 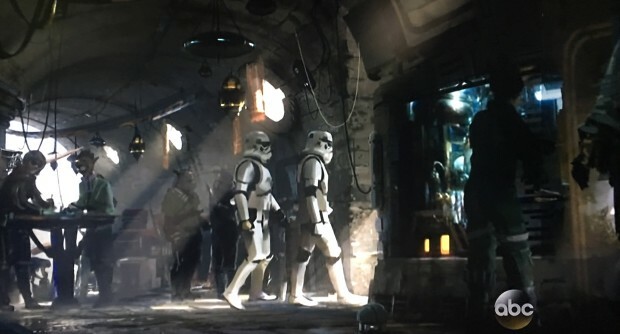 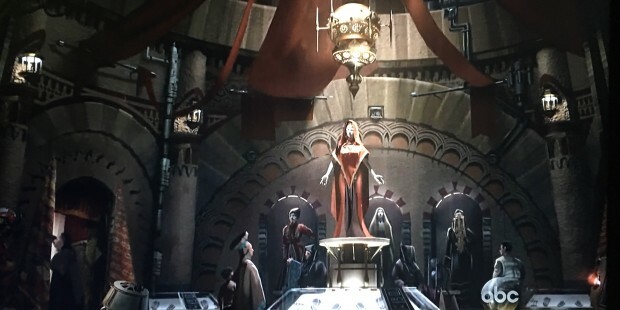 Star Wars Land Looks Out Of This World…..
Orlando Attractions Update – During an ABC special that just aired over the weekend celebrating Disneyland’s 60th anniversary, several new pieces of concept art were unveiled for Star Wars Land, including a first glimpse at its two attractions. 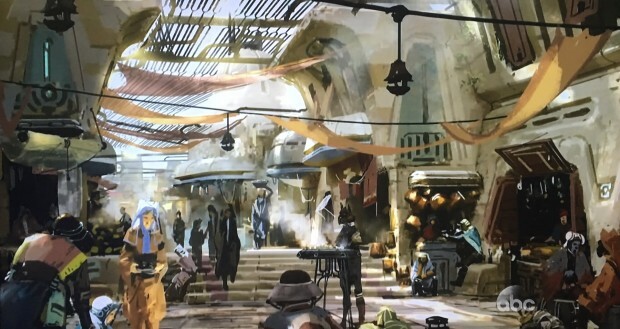 As part of presentation Harrison Ford introduced a segment all about the new Star Wars Lands coming to Disneyland and Disney’s Hollywood Studios. 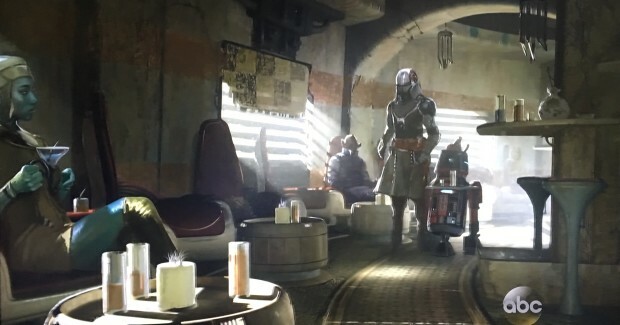 In it, never-before-seen concept art showcased what guests will be able to experience when they step foot in the land, transporting them to a never-before-seen planet, a remote trading port and one of the last stops before wild space. 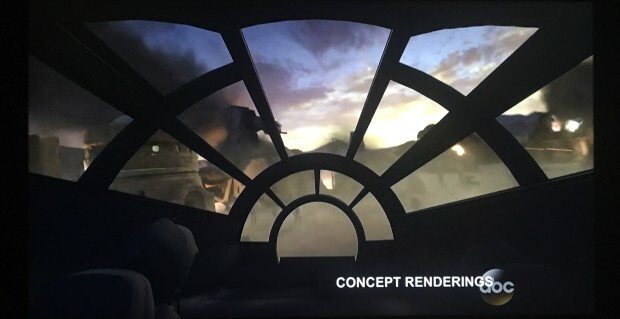 Also showcased was early concept video of the two attractions that will be part of Star Wars Land. 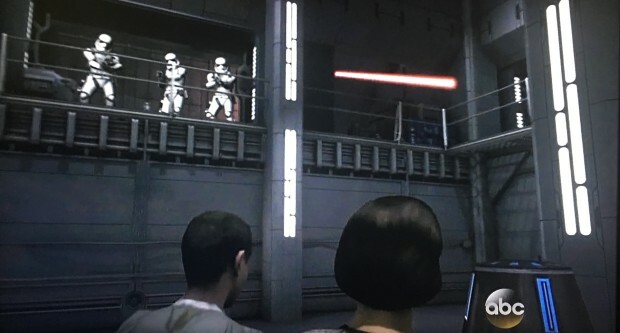 Guests will be able to step aboard The Millennium Falcon and actually pilot the fastest ship in the galaxy, steering the vessel through space, firing the laser cannons, in complete control of the experience. 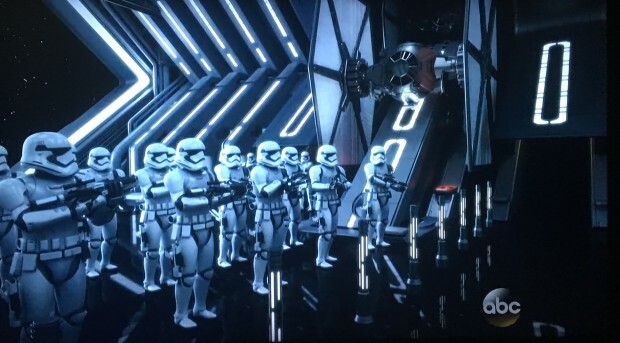 And with the arrival of the First Order to the planet, guests will find themselves in the middle of a tense battle between stormtroopers and Resistance fighters. 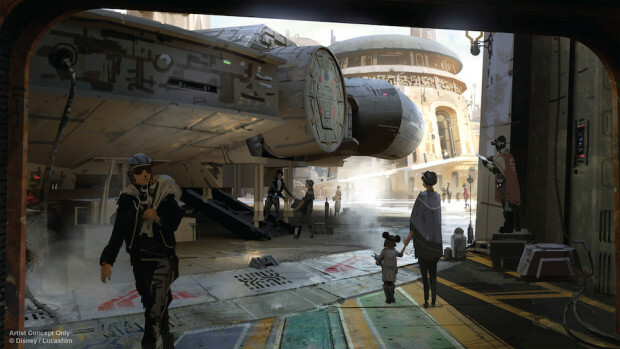 Both Star Wars Lands in Florida and California are scheduled to begin construction in 2016.